Violence in Aztec Society was committed daily with numerous, painful sacrifices to provide human blood offerings to their war god Huitzilopochtli. Violence in Aztec Society research paper due and don’t know how to start it? How about like this? The history of the Aztec Empire reflects the vast achievements of a comparatively unique assemblage of people, yet also presents a violent streak that is difficult to comprehend. They migrated to the Valley of Mexico, and achieved greatness and supremacy throughout the 12th century and 13th century, A.D. This tribal group consisted of hunter-gatherers that subsisted on the northern Mexican plateau, prior to the emergence to Meso-America at some stage in the 12th century. The Aztecs considered themselves the chosen people of the war god Huitzilpochtli. They were committed to making daily and numerous sacrifices to Huitzilopochtli. In spite of their terrifying tactics, Huitzilpochtli necessitated nurturing that could only be satisfied through the provision of human blood. In order to keep the momentum of feeding Huitzilpochtli, the Aztecs found themselves going to war incessantly. Their armies played a major role within the society, and the Knights of the Jaguar and the Knights of the Eagles were the military troops that sought out fitting human sacrifices to present to their god Huitzilpochtli. Interestingly enough, the Aztecs were exceptionally proficient growers and craftsman. There was a particular ceremonial procedure involved in the Aztec sacrifices. Those being sacrificed were placed at the apex of the Aztec pyramids and set upon a smooth stone. There, the chests of those being sacrificed were severed open and their hearts were snatched out. The bodies were then thrown down the steps of the pyramid. Other shocking features of the human sacrifice included the pulling of spikes all the way through the tongue, and the painful sacrificing of offspring. This was a horrifying experience for anyone who witnessed this violence. There were other bases besides the desire for blood that brought about these sacrifices. The notion of Tonalli, which is defined as an animating spirit, states that the spirit is passed through the blood. The heart was offered to the god, since blood flowed from the heart. The Aztecs felt that this would be the organ that would most satisfy the needs of the god. The masses also believed that if the sacrifices stopped, then the motion of the sun would halt. Continuing the sacrificial ceremony would prevent the sun from stopping. It was believed that without these sacrifices, all motion would stop including the movement of the sun. The Aztecs’ human sacrifices were intended to keep the sun from a complete standstill. Religious Violence - Religious Violence research papers look into the history of violence in Islam, Christianity, and Judaism. Cannibalism - Cannibalism Research Papers explore where cannibalism originated and the different cultures it involved. Order a research paper on cannibalism from Paper Masters. Medicinal Practices of the Aztecs - Medicinal Practices of the Aztecs Research Papers study the understanding of medicine in their culture. Spanish Conquest in the Americas - Cortes, however, in his invasion of Mexico, met a centrally ruled Aztec Empire, which was able to offer significant military resistance at nearly every point. Incas - Incas research papers examine the South American native group from the pre-Columbian Americas. Francisco Pizarro - Francisco Pizarro research papers study the Spanish conquistador best remembered for conquering the Incan Empire in Peru. Anamism - Anamism Research Papers delve into the religious beliefs that everything is spiritual. Age of Discovery of New Continents - Age of Discovery research papers look into the beginning of the 15th century, when European mariners discover new trade routes to the Indies and new continents. Mycenaeans - Mycenaeans chose a social and governmental system that was much more attuned to their warlike and anarchic natures. Victors and Vanquished - Using material from Victors and Vanquished to illustrate your points, discuss and analyze the factors concerning the Aztecs that allowed Cortes to be successful. Ayurveda - Ayurveda Research Papers delve into the homeopathy method of treating illnesses, it focuses on the spiritual balance that maintains a healthy body. Ancient African History - Ancient African History research papers discuss the beginning of human civilizations that arose from the continent of Africa. Ancient China - Ancient China research papers discuss one of the oldest civilizations on Earth that dates back over one million years ago. Mesopotamia - Mesopotamia Research Paper delves into the history of this ancient civilization. Ancient Greece - The ancient civilization of Greece began around 3000 B.C. The people in Greece were not farmers, as the land possessed little fertile land on which to farm. Human Civilization - Human Civilization research papers discuss the complex society that people have created with social hierarchy, symbolic communication, and mastery over the physical environment. 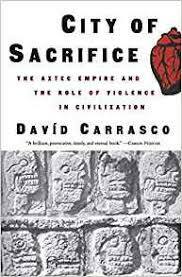 Paper Masters writes custom research papers on Violence in Aztec Society and explains why they were always at war, their sacrifice rituals, and the cannibalism in their society.